Occasionally I need to stop working for a while and listen to a book and put on makeup. Because work is lame and terrible. 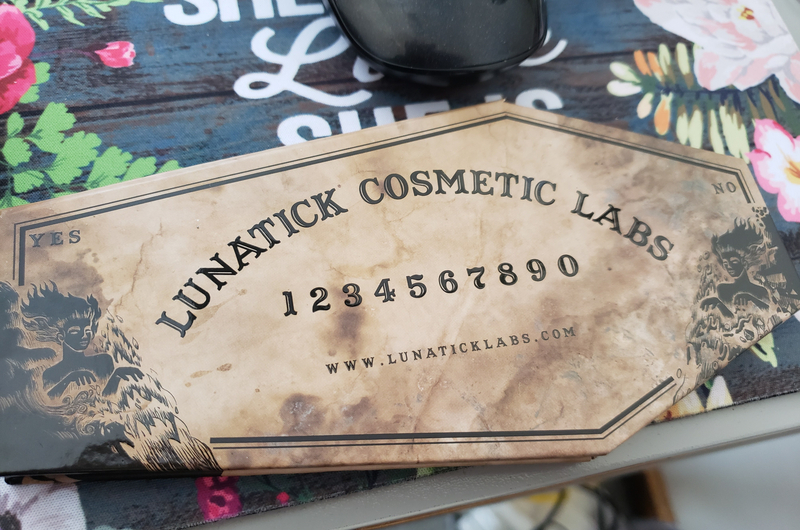 Today, it’s all Lunatick Cosmetics Labs. Established in 2012, Lunatick is vegan, talc-free and cruelty-free, made in the US. Their aesthetic speaks to me – it’s all creepy and ghoulish. 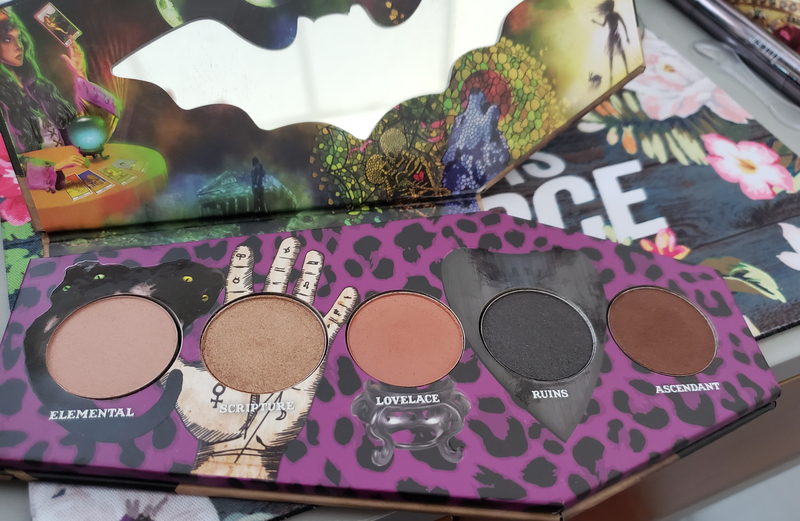 Their eyeshadow palettes are shaped like coffins with Ouija-esque lettering, their bullet lipsticks look like actual bullets, and there are skulls everywhere. It’s possibly my favorite indie brand. 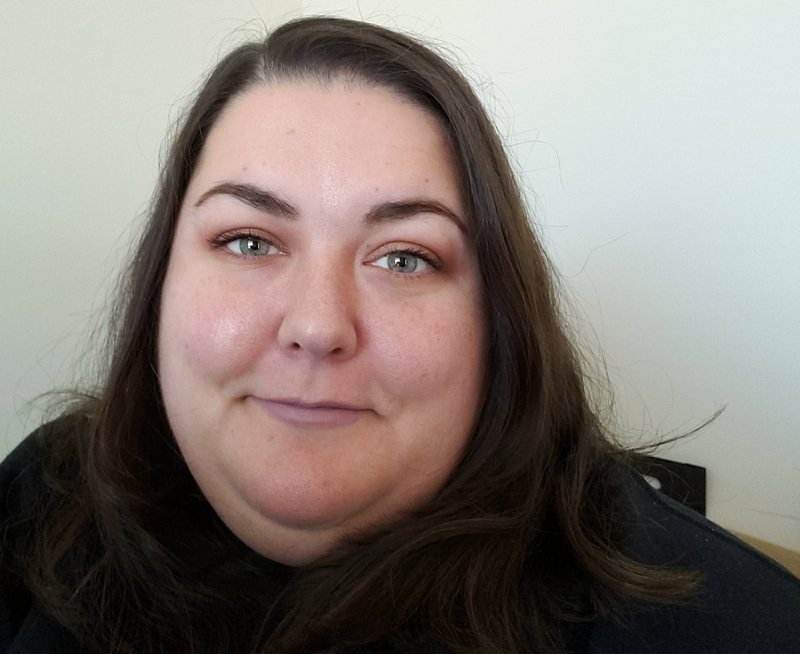 Today I used the Relic eyeshadow palette, with Elemental as my transition shade, Lovelace in the crease, Ascendant in the outer corner and on the lower lashline, and Scripture all over my lid. Because I’m lazy, I only used a fluffy brush for application and blending, and the lid shade I applied with my fingers. I’m also wearing their bullet lipstick in Bruja. Lashes –L’Oreal Paris Voluminous Butterfly Waterproof Mascara in Blackest Black. This is a fine mascara. I don’t love it but it happened to be sitting on my desk next to me when I was ready for mascara. 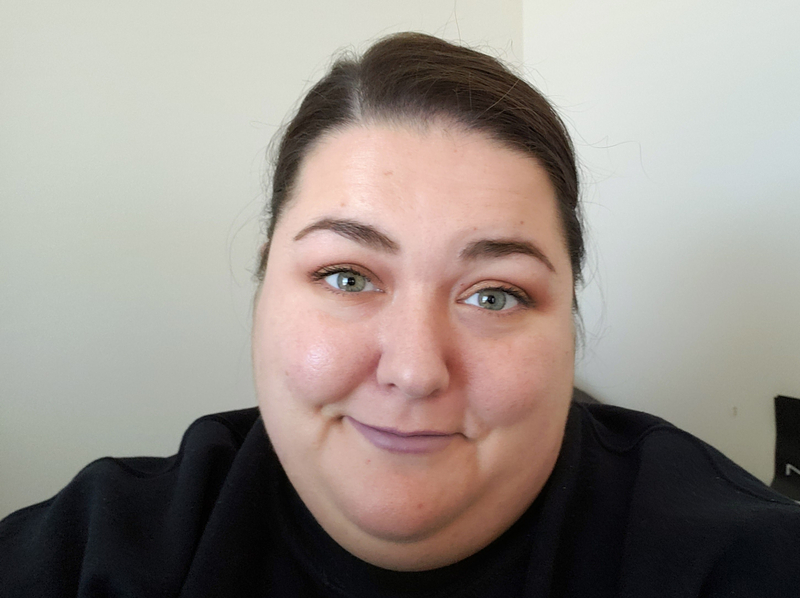 Brows – Maybelline TattooStudio Brow Tint Pen in Medium Brown. This is the first time I’ve used this and… I don’t know how I feel about it. It’s an interesting product and I’ll keep using it to try and figure out how I feel about it. I guess it’s time to go back to work. Ugh.